CuteCircuit first came onto our radar back in 2009 with their design of the world’s largest wearable display. 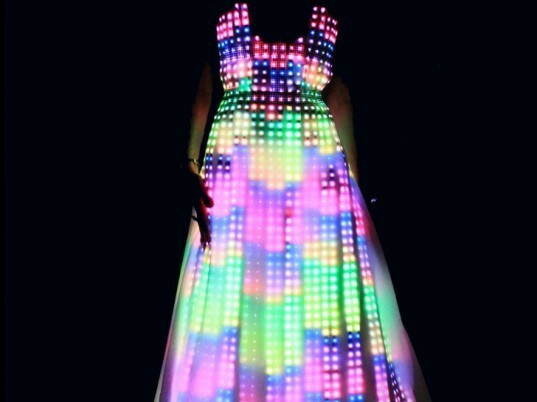 Now it looks like the London-based atelier is back once again, this time with a glowing gown powered by 10,000 embroidered LEDs. Designed for an opera singer, the piece recently debuted at a private event hosted by Breitling, captivating an audience with its hypnotic glow.